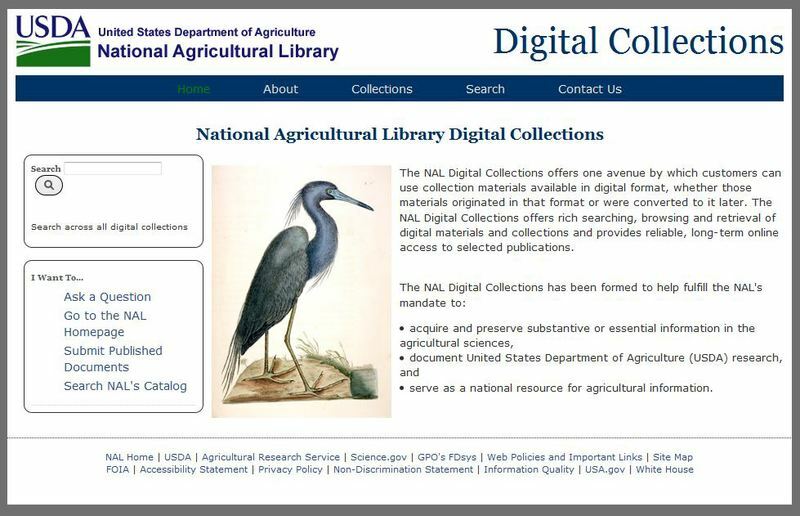 The National Agricultural Library Digital Collections (NALDC) offers an easy access to collection materials available in digital format. The NALDC offers rich searching, browsing and retrieval of digital materials and collections, and provides reliable, long-term online access to selected publications. NALDC includes historical publications, U. S. Department of Agriculture (USDA) research, and more. The scope of the NALDC includes the following: Items published by the United States Department of Agriculture (USDA) and clearly intended for public consumption; Scholarly and peer-reviewed research outcomes authored by USDA employees while working for USDA; and other items selected in accordance with the subjects identified in the NAL Collection Development Policy.